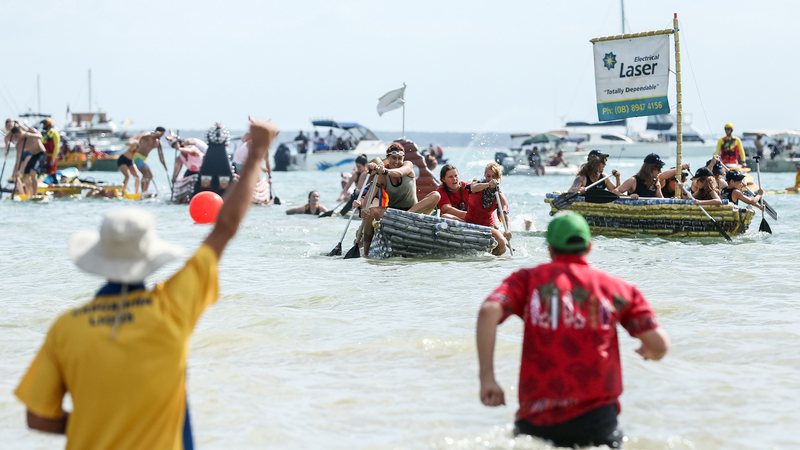 Darwin's Beer Can Regatta was held on Sunday. On the shores of Mindil Beach, a magnificent sight unfolded over the weekend. 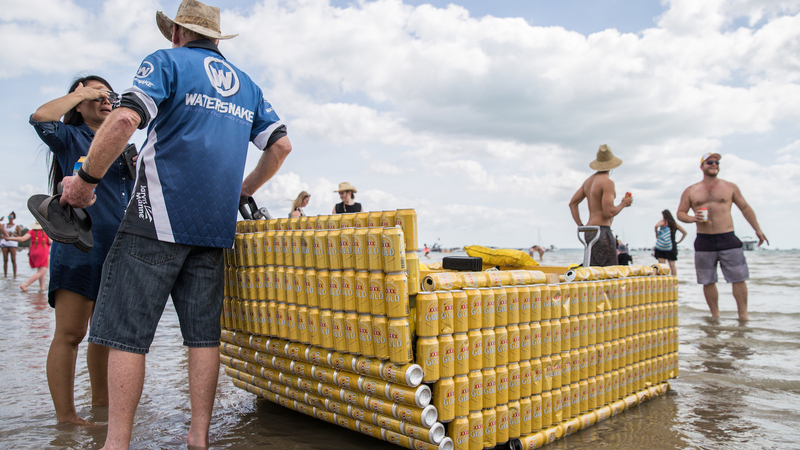 Thousands of thirsty Australians pushed their boats – made from beer cans – out onto the ocean’s gentle waves, where they would race each other for supremacy over the high seas. 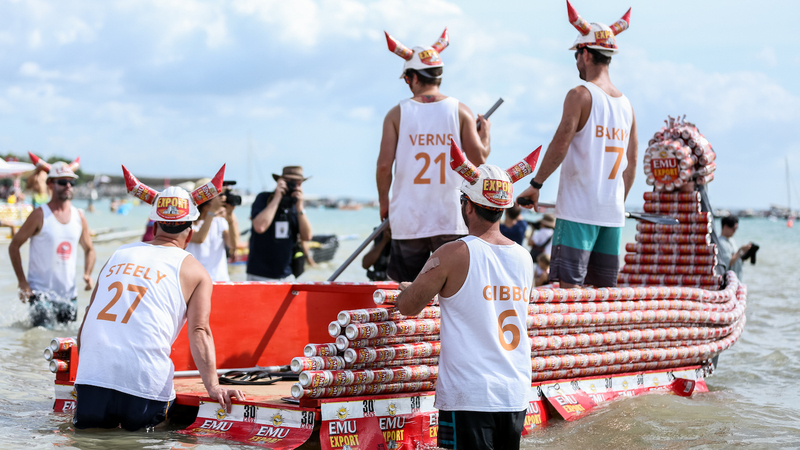 The yearly event, which takes place in Darwin, is called simply the Beer Can Regatta. It’s been taking place since 1974, and although it was once a raucous drinking festival, it’s since involved into a more family-friendly event. During the appropriately epic Battle of Mindil, boats made from beer cans compete in a treasure hunt to find a prize located somewhere in the water. Once a team finds it, they must return it to the shore before it can be “pirated” by another team. Sporting war paint, team jerseys, and helmets adorned with beer cans, the boat crews try to sink, sabotage, and outwit each other to win the bounty. At this year’s event, 9 News Darwin reported that the marauding sailors threw water balloons, brightly-colored smoke bombs, and flour at each other to eliminate their competition – though there were plenty of breaks in between these vicious acts of pillaging to chug beers. 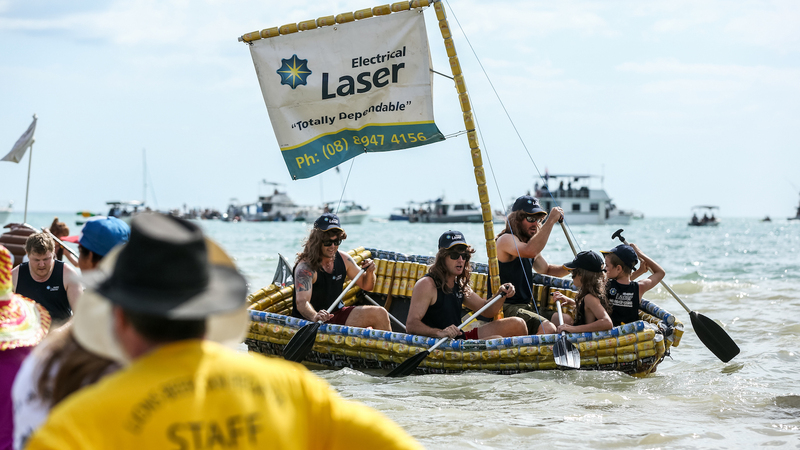 There’s also a more traditional beer can boat race for those who are interested in athletic pursuits, and for the children who aren’t quite old enough to drink the amount of beer it would take it build a boat out of empty cans, there’s also a soda can boat race. The Beer Can Regatta is certainly a site to behold, but you don't have to be a beer lover to appreciate it: Any event that combines boating, beaches in the summer, a little friendly competition is worth checking out. The beer is just a bonus.